I love my work. I love the relationship that I have developed with the Crystal Bowls where I know I can count on them to bring the exact right vibrations to bear for each individual in the room, whether it’s 2 or 44 people. I love the point when I am playing where I suddenly “get” what the message it, why we all made it on that particular day. I have learned to trust that whoever is meant to show up will show up, and I have seen first hand the shift in energy from when I first enter a room to when the last note of the bowl sings out. When people take me up on my offer to smudge them, I am continually amazed that the messages for them are always the ones they need to hear in that moment and I am so thrilled when someone casually says, yep, that’s what I was working on. Recently, I added Crystals, Nature Powerful Healers to my collection of offerings. Selecting them was a bit daunting when I thought about it, but really it was just my mind getting in the way, the reality was, I knew which ones were right and was able to get some real beauties to offer. I also love looking up the definitions in the crystal bible and playing with all the possibilities. When travel and my daughter is still at home, she is well surrounded with crystal beings to protect and watch over her while I’m gone. The crystals have given me great comfort too, as my two older boys have moved out of the house. I have a crystal that represents each of them in a circle with crystals for the three of us left at home. When one is facing a challenge, I might add a special crystal into the group for confidence, or releasing negativity or healing physical pain. But it gives me such joy to KNOW that while we may be physically apart, we are strongly energetically linked. It’s all in your vibration. Take care of yours today for a joy filled tomorrow. Trained as licensed Massage Therapist and a Reiki Practitioner since 2011, Marie is fascinated by exploring the mind body connection through different styles of yoga, meditation, and breath work. After experiencing a particularly difficult time in her life, Marie re-connected to a more dedicated yoga practice that helped her find peace and balance through the strife. Yoga showed her she could tune back in to her higher self, and come out on the other side with a lighter and brighter heart. Coming to her mat shifted the way she looked at life and herself. It was that feeling of divine bliss during and after classes that led her to take a 200-hour Yoga Teacher Training at Yoga Moves in Stoneham, Mass, in June of 2017. As a bodyworker, she is passionate about helping people improve their quality of life through encouraging their body awareness and creating healthy movement patterns. For Marie, yoga has facilitated deep healing, and she aims to bring that opportunity to each individual through her classes. Jenna was first attracted to yoga for the physical benefits it offered. She soon discovered; however, that yoga engages the body as a means to free the mind. Practicing yoga for over 5 years, Jenna noticed that consistent practice leads to a deeper connection within and cultivates feelings of positivity and gratitude. Jenna wishes to extend the benefits she experienced and share her love of yoga with her students. She aims to create a warm and open environment where anyone, regardless of level, can feel safe to explore. Jenna completed her 200-hour Teacher Training with Anjili and Bryan Russell, through School Yoga Institute, certified by Yoga Alliance. 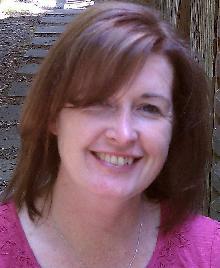 Additionally, Jenna is a certified Reiki II practitioner and state-licensed educator. My fitness journey began in 2012. I made a promise to myself to clean up my eating habits and get healthier mentally, and physically. I didn’t know exactly how or what I was going to do or even what that looked like. I am here to tell you I figured it out! In 2012 I lost over 150 pounds through a variety of different exercises and classes such as running, kickboxing, Pilates, and Zumba. You name it, I did it! I was always craving the sweatiness of an intense workout. I loved the feeling of being with yourself, and free in your own space. It wasn’t until 2013 when my cousin asked if I would go to a hot yoga class with her did I discover the beauty and rejuvenation of a yoga class. From that day on, I was ADDICTED! Immediately, I began practicing at home and through classes at the studio. Yoga has positively impacted my life in ways I never thought would have been possible. I struggled with anxiety and A.D.D most of my life. Through my practice, yoga has taught me how to bring peace into my mind and heart. As well as work with my mind and body together on and off of my mat. As a teacher I would love to bring the same motivation, confidence and peace to others that yoga has brought to me. Come and flow with me!